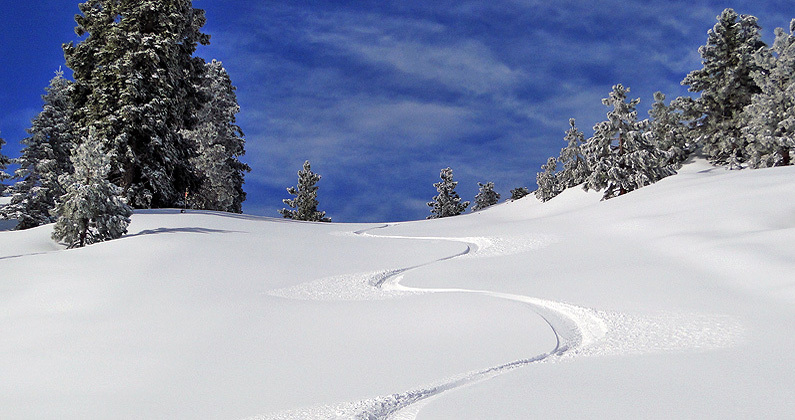 Snow Valley provides a convenient & affordable day of skiing for beginners and young families. One of the great things about winter in Southern California is the amazing variety of things you can do outdoors all year round. 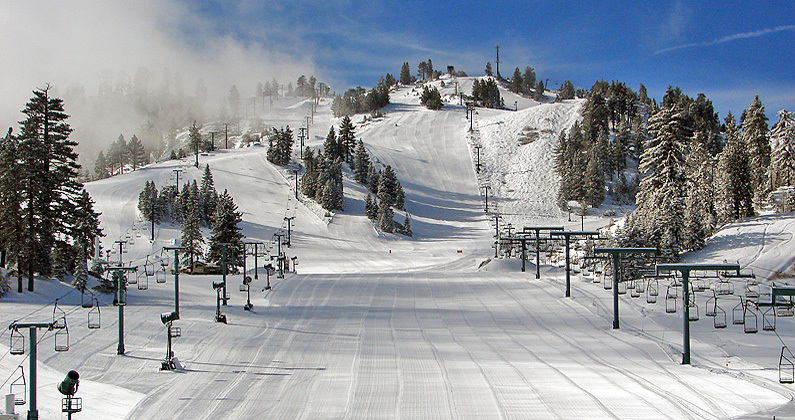 Snow Valley Mountain Resort is truly a local day-trip mountain. No pretension – just a mountain, lifts, a day lodge, and fresh air. You can visit Disneyland in Anaheim one day and be within an easy drive to the ski hill the next. Snow Valley harkens back to a time before the big destination ski resorts and the accompanying costs. It has fairly gentle terrain for new skiers and boarders at very reasonable prices from discounts sites such as Liftopia. Though the resort makes its own snow when conditions are favorable, it's especially good skiing after a winter Pacific storm. When there’s an abundance of natural snow, the resort opens up Slide Peak on the back side, providing your more experienced family members a little more challenge. What to do besides skiing? 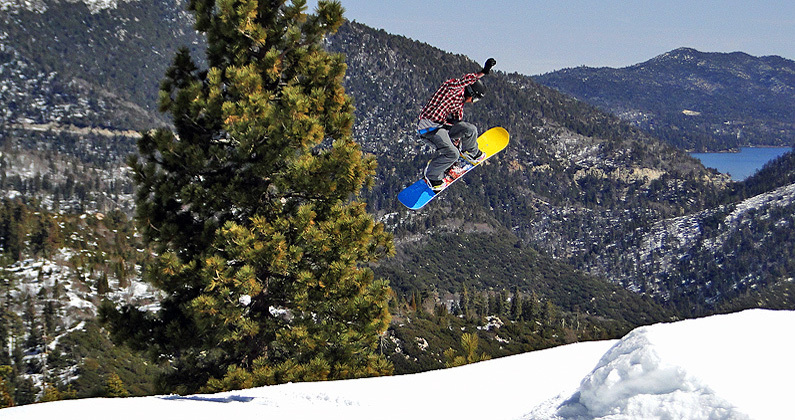 Adjacent to the ski resort, the San Bernardino National Forest operates a small snow tubing park. Additionally, there’s a cross-country ski area directly across from the resort for those who want a quiet, peaceful workout in nearly always ideal weather conditions. Besides the mountain, there's a small business district in Running Springs. Where to eat & stay? Snow Valley offers the typical ski mountain burger and hot dog fare in the base day lodge and a small mid-mountain snack shack. I’d recommend bringing a packed lunch. Lodging near Snow Valley is sparse with no lodging adjacent to the resort. There are vacation rentals in nearby Lake Arrowhead, and Big Bear Lake is about 11 miles away. KidTripster Tip: The mountain gets pretty crowded during holiday periods and peak weekends, so ski during the week to get better prices, more personalized ski lessons for the kids, and less hassle picking up rental gear. Consider renting gear either at local shops in Running Springs and Arrowbear or in Los Angeles to avoid the rental area crush. Who wants to stand in line when you get to the hill? Snow Valley and the San Bernardino National Forest are east of Los Angeles and north of I-10. The most direct route is CA-330. As a reminder, snow chains are mandatory anytime you’re traveling in the mountains, and the rule is enforced by the CHP during mandatory chain days. Ben Allbritton lives in San Diego with his family. His 19-year-old son and 7-year-old daughter head to the mountain with him when he is not deployed on a navy ship somewhere in the world. He enjoys writing and fantasizing about the slopes from the Gulf of Aden, where it’s about 110° F.